2017 NBA MVP and luggage designer – is there anything this man can't do? Tumi (one of T3's favourite luggage brands) and Russell Westbrook (Oklahoma City Thunder Point Guard and 2017 NBA MVP) have teamed up to create a stunning limited edition collection. 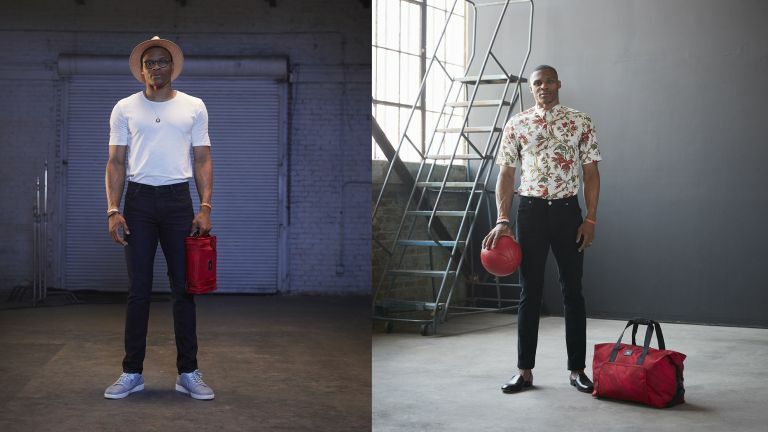 Westbrook is known as the NBA's King of Fashion, and wanted to blend Tumi's functionality with this personal style. Taking Tumi's existing collection as inspiration, Westbrook and Victor Sanz (Tumi's Creative Director) conceived a six-piece collection using the brand's high-performance ballistic nylon in a tonal red camouflage featuring black leather accents throughout the assortment. We think it looks great, with the strong contrasting black/red color scheme, and the camo effect subtle but not invisible. The Tumi x Westbrook collection includes the Morrison Backpack, Jetsetter Tote, Hanging Travel Kit, International Carry-on, Double Expansion Travel Satchel, and Warren Backpack. Each piece within the collection features Westbrook’s personal mantra, “Why Not?” providing a reminder of empowerment and perseverance. “I couldn’t be more excited to collaborate with TUMI, a brand that I have been a loyal user of for years”, says Russell Westbrook. The Tumi x Westbrook pieces range in price from £135 - £895 (around $188 - $1180). The collection will be sold at Tumi retail stores worldwide as well as on Tumi's website from the October 5th.